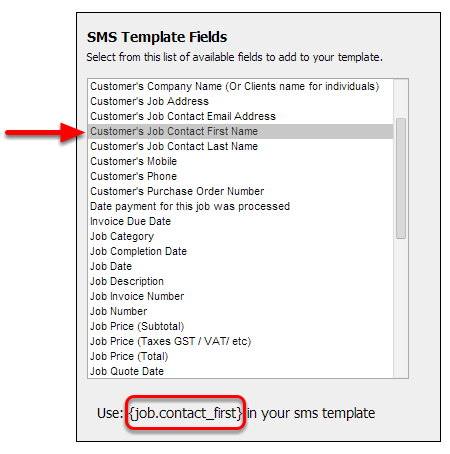 In this lesson you will learn how to add your own custom SMS template. Note: You can click Edit button if you wish to modify an existing template. In the Template Name box, enter the name of the new template. 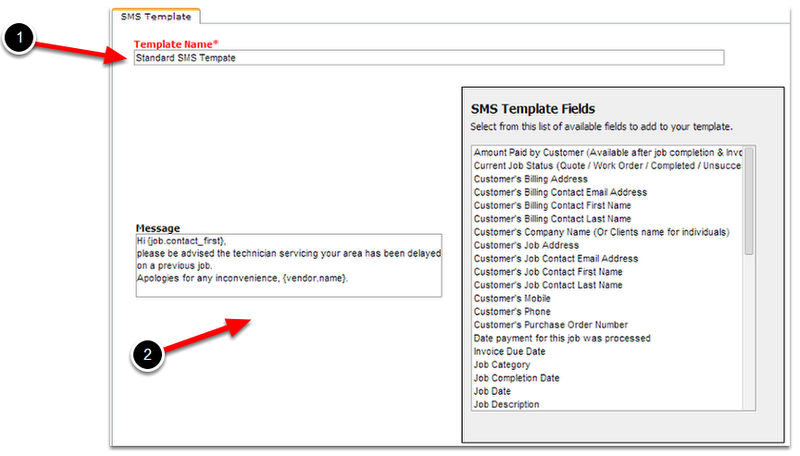 Click the field that you want to use in the SMS Template Fields list box. Type the brackets and field name to insert the field in the Message box or simply copy and paste them. Once you are finished, return to the job dispatch board to test your new SMS template.